I am actually in CO right now on my way to WY for Travis' family reunion but we are still going to party! I won't be visiting this week and there also won't be a Feature Friday post this week either. I will include ideas from this week's party in next week's Feature Friday post. This week, I am sharing the most recent transformation to our ottoman. 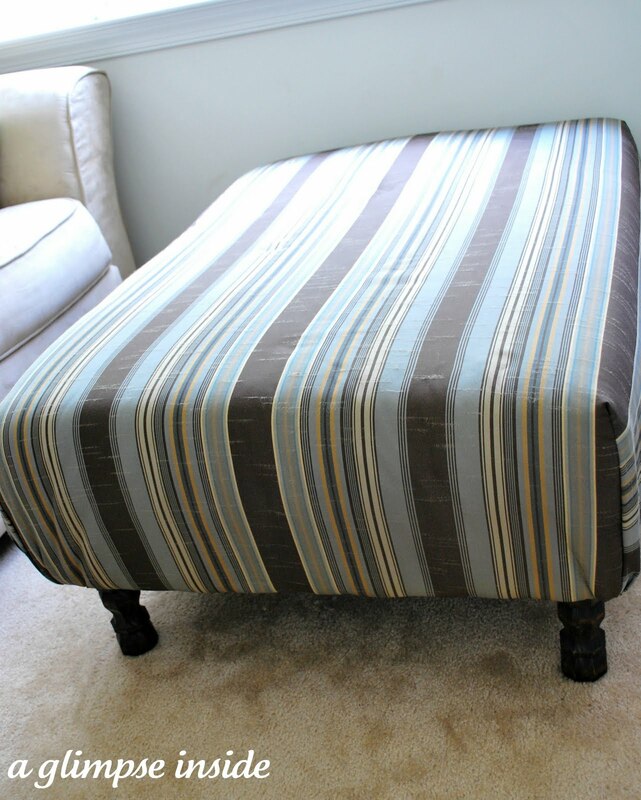 Check out the first before, the second before, and the now in my ottoman makeover post. What ideas are you sharing this week? Thank you for hosting your great party! Have a great weekend! Thanks for hosting Allison! Hope you guys have fun at the reunion! hope you guys have a safe trip & a great time. i joined your party really really late, but i finally got my post together to link up.